Emily Sherlock practices both environmental and corporate law. She regularly advises clients on compliance with state and federal environmental regulations, including those governing hazardous wastes, underground storage tanks, and emissions from non-road engines and equipment. She also represents clients in negotiations with environmental agencies to resolve alleged violations of such regulations. 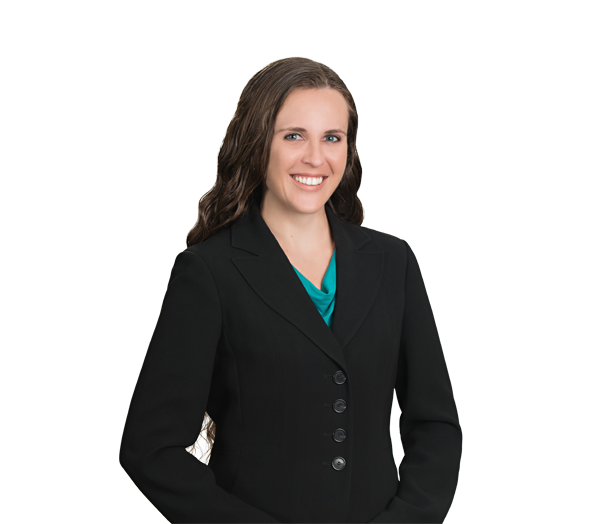 Emily has experience serving as common counsel to a large group of potentially responsible parties at a contaminated site, including negotiating with the state agency to resolve the PRPs' liability and negotiating settlements between the PRPs. She also has experience negotiating Brownfields Agreements on behalf of prospective developers redeveloping contaminated property. In her corporate practice, Emily negotiates stock and asset acquisitions and divestitures, mergers and commercial contracts. She has experience drafting and negotiating commercial agreements both in the acquisition context and while serving in an outside general counsel role for companies. Emily also has experience working with foreign counsel on international transactions. In addition to drafting and negotiating transaction documents, she can assist her clients in effectively managing environmental risk in their corporate transactions. Represents a group of potentially responsible parties at a contaminated site in negotiations with governmental authorities to resolve Comprehensive Environmental Response, Compensation and Liability Act liabilities; in negotiations among the parties to allocate remediation costs; and in settlement negotiations with de minimis PRPs. Advises manufacturers regarding compliance with various environmental laws and regulations, including Resource Conservation and Recovery Act provisions governing generators of hazardous wastes and applicable RCRA permitting exemptions. Advises manufacturer of building products regarding OSHA rules regulating worker exposure to respirable crystalline silica. Assisted a manufacturer in obtaining a favorable determination from the North Carolina Department of Environmental Quality regarding the company's hazardous waste management practices and avoided a notice of violation following a Resource Conservation Recovery Act inspection. Advises equipment manufacturers regarding compliance with Clean Air Act regulations governing emissions from nonroad compression ignition engines and participation in the EPA's Transition Program for Equipment Manufacturers. Represented a real estate developer in the application for and negotiation of a Brownfields Agreement with the North Carolina Department of Environmental Quality to redevelop a contaminated site in Boone, North Carolina, into a mixed-use student housing development. Advised a hospital regarding compliance with state and federal regulations governing underground storage tanks containing petroleum. Advised purchaser of craft brewery in connection with environmental diligence, including limited environmental compliance review, and advised brewery regarding air, wastewater and stormwater permits following acquisition. Assists manufacturing and industrial products company in negotiation of supply agreements and other commercial contracts. Worked in-house on a temporary secondment with the client's legal team. Advises holding company and its craft brewery and distillery subsidiaries in connection with general corporate matters and contract negotiations. Represented a private equity group in both its acquisition and capitalization of a craft brewery and distillery, involving management rollover equity, co-investment equity, new incentive equity and senior debt financing as components of the capitalization. Represented a public company in its acquisition by merger of a wholly owned subsidiary with a private corporation in the business of designing, manufacturing and selling aerodynamic tails and skirts mounted on semitrailers to reduce trucking fuel consumption. Represented a public company in an internal restructuring project involving the intracompany ownership transfer of numerous subsidiaries in 13 countries. Represented a heavy equipment distributor in its divestiture of certain regional business operations and assets. Advised an engine distributor and original equipment manufacturer with respect to contract matters and preparing form sales documents for use in its daily operations.